I am committed to the safety of our communities. And I support our Constitution, including the 2nd amendment. We can succeed at protecting our communities from gun violence if we find common ground and develop workable solutions. 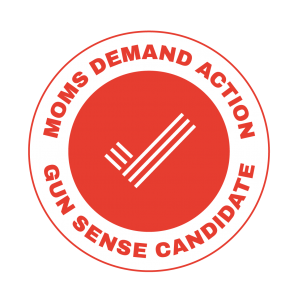 I believe strongly in bringing together gun owners and those that don’t own guns to find common goals around safety, in order to address the gun violence we are facing as a country. Having grown up in a family where my step-dad hunted to put food on our table, I appreciate that guns are part of our rural culture. We must recognize Oregon’s hunting tradition as well as our federal treaty obligations related to hunting. Until we find common ground and develop workable solutions, we will continue to fail to protect our families from gun violence. I propose a School Safety Grant Program to provide schools with the resources to develop safety-related programs. The school district would decide how to best invest the federal funds to address needs in their community, from installing security equipment to investing in more school counselors to ensure all of our children have the resources they need to thrive. I believe that improving the safety of our schools and communities will see greater investment in our social infrastructure: education, healthcare, and public safety. This includes addressing Post Traumatic Stress Syndrome (PTSD), domestic violence, opioid addiction, and ensuring everyone has affordable physical and behavioral healthcare.